They do a 40% off special on their sushi all day long- which pretty much means they just over priced their menu. Suits me perfectly because their prices are great!! 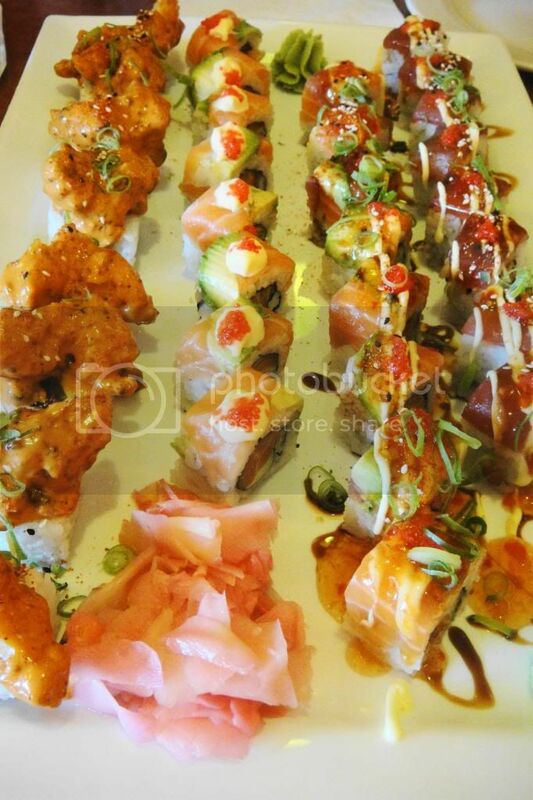 We chose the Rainbow rolls, Hayashi rolls, Hot Dragon rolls and a Hot Rock ‘n Roll with shrimp tempura roll. The rainbow rolls were your standard salmon, tuna, mayo, caviar and avo rolls. They were good- very fresh fish but nothing outstanding. It’s more the great price that wins you over. 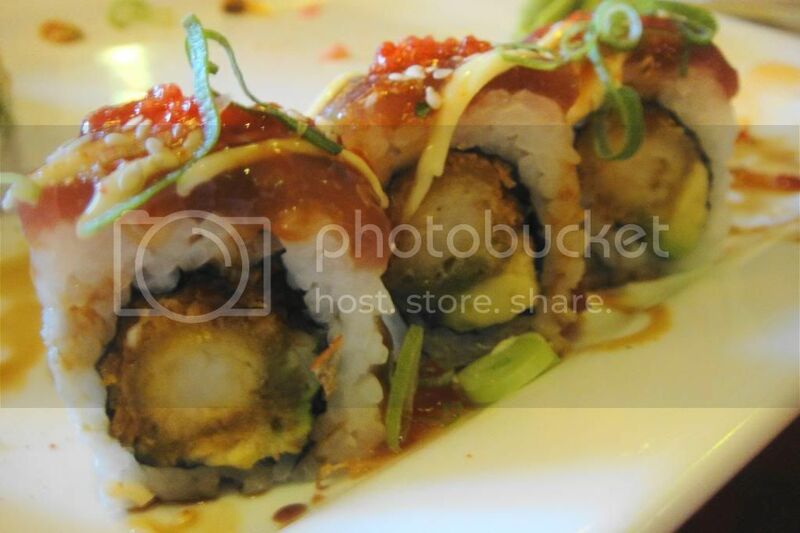 The Hayashi rolls is prawn tempura and avo inside with salmon on top and sweet chilli sauce and spring onions. 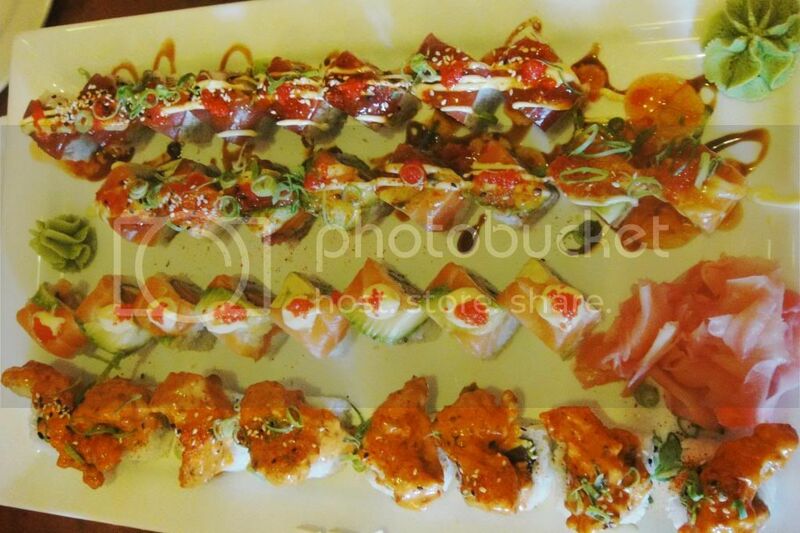 It’s delicious BUT I prefered the Angry Dragon which is exactly the same roll except that the salmon is tuna. The tuna works better with the creamy avo and crunchy tempura prawn. Just all so delicious! And if we weren’t full enough already…. 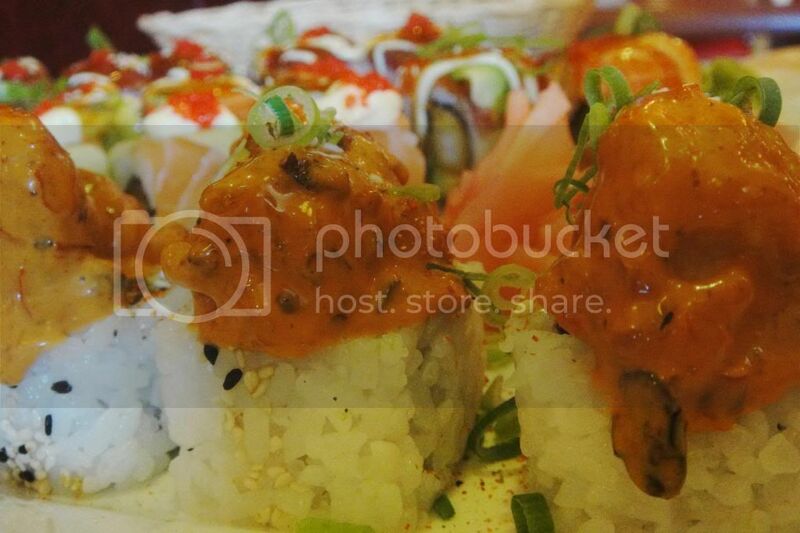 we also had the Hot Rock ‘n Roll with shrimp tempura rolls. These rolls made me very sad- they were delicious but so hot they were ‘fire in my mouth’ inducing. So I was not able to eat them. 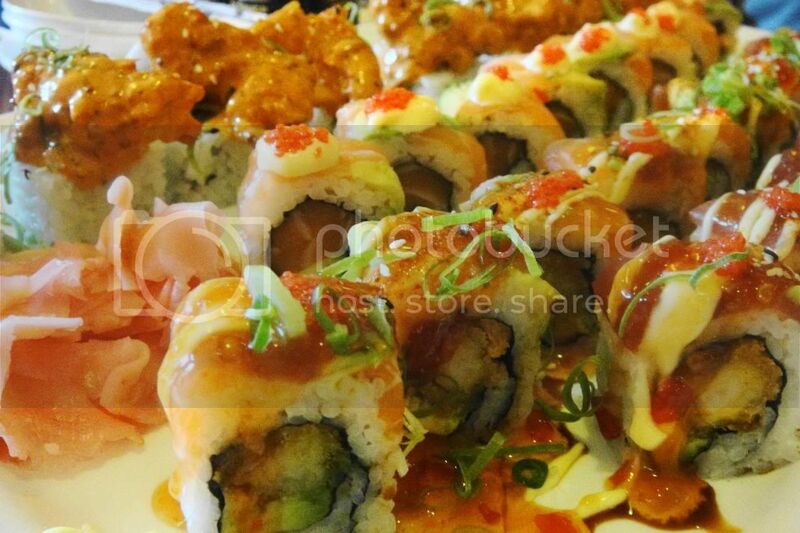 The roll is a spicy chopped tuna California rolls topped with shrimp tempura dipped in spicy creamy mayo sauce. So overall the sushi was good- but nothing special. The prices however were fantastic- so if you’re a student looking for a quick sushi fix in Stellies- Hayashi is just what you need.